We aim to provide a stimulating environment where students find the creative process enjoyable and rewarding. Students will develop the ability to record and analyse information, developing a language that allows them to express themselves in visual terms and communicate ideas. There are five art staff and lessons are delivered in purpose built art studios with access to IT facilities in all rooms. Please note that most KS3 projects are interchangeable and could happen in different terms. Year 7 and 8 are taught in mixed ability tutor groups. Year 9 are taught in mixed ability groups from different tutor groups. Each Art project is broken down into different focus points to ensure students gradually build up a repertoire of skills and ideas and link these to the wider art world over Key Stage 3. Students also describe and analyse artists’ work and have opportunities within each project to explore and question a wide range of artists’ work. Students will work with a wide range of materials and techniques giving them the confidence and expertise to produce finished pieces of work. A project will be delivered as a series of tasks and will last a term. Work is tightly structured in Year 7 and 8 with an increasing emphasis on individual choice, decision making and finding a personal expression in Year 9. There are opportunities for more able students to push themselves further and they are encouraged to do this. Each student keeps a sketchbook which is used to practise ideas/drawing skills/material exploration/notes on artists and evaluation of work. Homework is a vital part of the learning process and is set regularly, linked to each project. Students receive verbal feedback in lessons and written feedback in their sketchbooks so that they know how to improve their work. A termly level is given to each student so they can track their progress. Exploration of different styles and means of drawing. Students study artists’ techniques, draw from observation and explore a range of mark making materials and techniques. They practise skills in tone, texture, line, blending and shading. Study of colour, painting techniques and producing a finished painting. Experimentation with printmaking, researching a theme and producing a design suitable for a print block. Understanding how to print with accuracy. Drawing from observation. 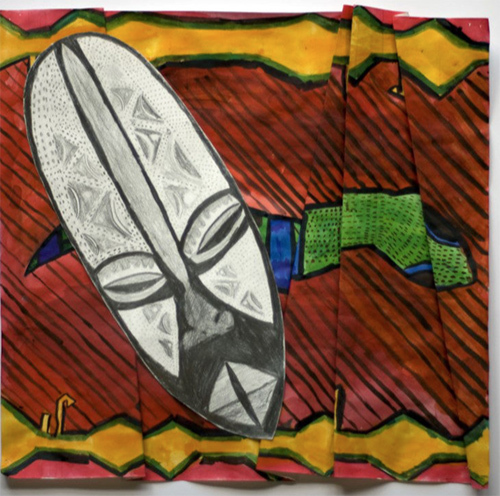 Students draw an African mask using and building on their drawing skills from Year 7. They research African patterns to develop a background for the drawing, exploring and choosing from a range of media. Painting from observation. Students draw and paint from an array of cakes, exploring colour and texture. They study the work of relevant artists to help them develop their work. Exploration of a given theme. 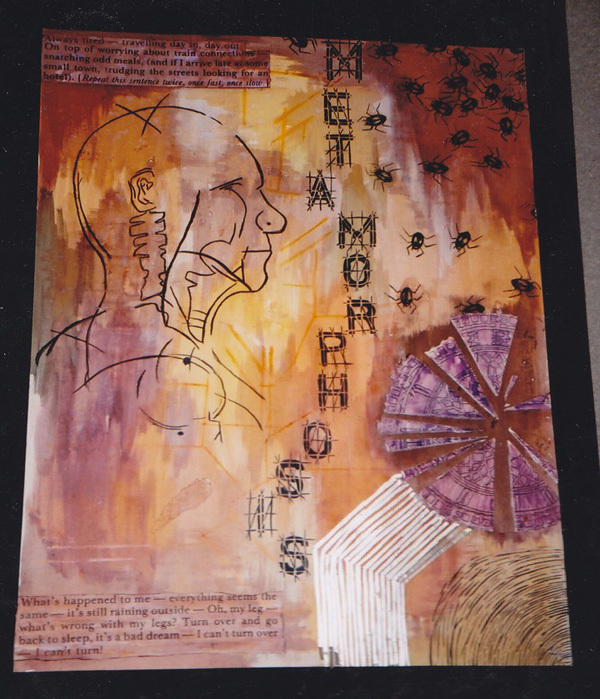 Students draw from a collection of insects and butterflies in a range of drawing media and develop this into their own piece of finished work. Drawing and research project. 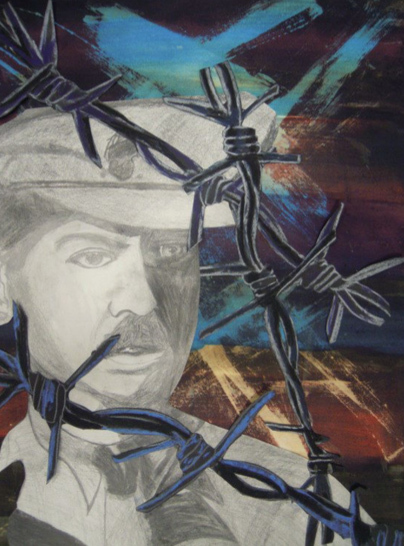 Students draw from photos based on a given theme (see visual examples). They produce a large tonal drawing and do their own research for a suitable background exploring a range of media. Emphasis is on quality and creativity with an increasing independence in their use of ideas. Exploring artists’ work linked to a theme. This project helps students to understand how artists have explored a particular theme and use this skill and information to develop their own work. This lively and popular course is suitable for students who are really interested in Art and Design. It is strongly recommended that anyone wishing to study A Level Fine Art does this course. All students work from a given theme, initially exploring this together, working from observation, researching artists and exploring materials and new techniques. 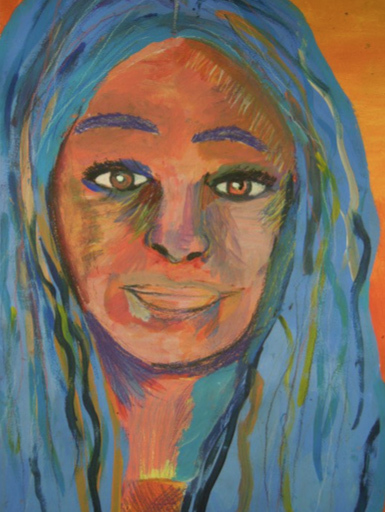 Students then develop their own idea from the theme and produce a finished piece of work on a large scale. Over the two year course, at least two units of coursework are completed. Regular homework will be set and hardworking, enthusiastic students are welcomed onto this course. Anyone wanting a career in art, fashion, graphics, architecture, interior design. textile design, photography, theatre and film design etc should consider doing this course as a basic grounding in Art and Design. Students are required to submit a portfolio of work which must include two final pieces. All their drawing and research is presented in an A3 sketchbook and is assessed with their final pieces. This accounts for 60% of their overall mark. The final exam is worth 40% of the overall mark. 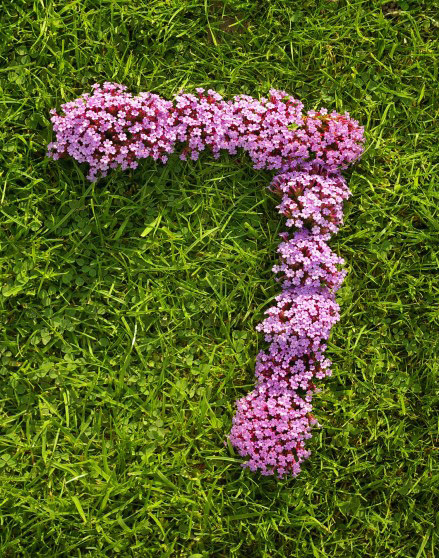 Students are given a theme and have from January in Year 11 to prepare for their exam in March/April. They have 10 hours to produce a planned piece of work. This might sound daunting but students always produce their best piece of work for the exam and enjoy the experience. This new and exciting course is suitable for students who are really interested in Art and Design in general but have a desire to study Graphic Art further. All students work from a given theme or brief, initially exploring this together as a group, working from observation, researching artists, illustrators and graphic designers, exploring materials and learning new techniques including how to use Adobe Photoshop skilfully and effectively. Students then develop their own idea and produce a high quality, professional looking finished piece of work to the scale of their choice. Over the two year course, two units of coursework are completed. Regular homework will be set and enthusiastic, hardworking students are welcomed onto this course. Anyone considering a career in graphics, advertising, publishing, illustration, fashion, architecture, interior design, theatre and film design etc, could take this course as a solid grounding in Art and Design with an emphasis on Graphic Art. 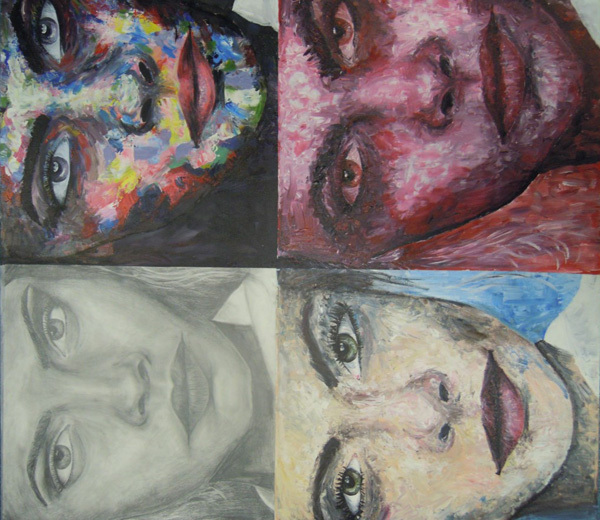 Students are required to submit a portfolio of work from the best of their work in Year 10/11. All their drawing and research is presented in an A3 sketchbook and is assessed with their final pieces. This accounts for 60% of their overall mark. Students are given a theme and have from January in Year 11 to prepare an individual final planned piece of work for their exam in March/April. They have 10 hours to complete this piece. Students relish the opportunity to have a final flourish in Graphic Art at GCSE level and really show what they have learnt over the two year course. 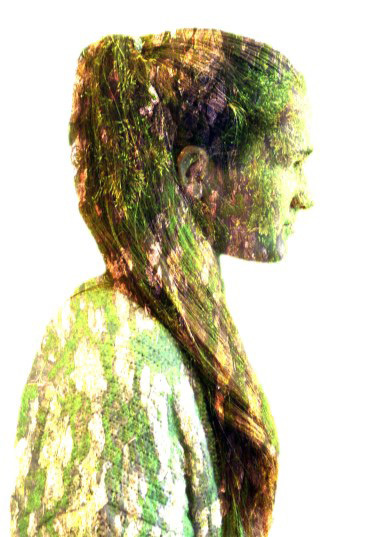 This GCSE feeds directly into the Art Graphics A level which runs successfully within the Art Department. Students will work with digital cameras, at first exploring the formal elements of photography, before going on to develop a portfolio of work which explores different themes. You will use a digital camera to take photographs and make regular use of Abode Photoshop to enhance your images. You will also explore more experimental aspects of photography and creative use of Photoshop. There will be some possibility of exploring traditional and experimental wet-media techniques. To get the most out of this course you will need your own camera. Ideally this will be a dSLR (digital single lens reflex). Speak to Jody or Emma about this if you are unsure. Regular homework will be set and enthusiastic and hardworking students with a genuine interest in photography are welcomed onto this course. Studying GCSE Photography would be an excellent grounding for careers in this field, as well as film, media and animation. Coursework comprises 60% of the final mark. You will build a portfolio around at least two projects, leading up to final pieces for each. As part of the coursework you will study the work of other photographers, as well as using theses as inspiration for your own work. You will record your work physically, including a log of content sheets and printed photographs. The exam comprises 40% of the final mark. Students are given the exam paper which provides several starting points and students have from January to March/April to prepare for their final piece. This course is suitable for students who have a higher grade in GCSE Art. Students should see the course co-ordinator or assistant to check they have enough experience for the course. It is an exciting and creative course that has a record of excellent results. Personal Creative Enquiry (coursework) You will initially begin with a focus on building up painting and drawing skills. 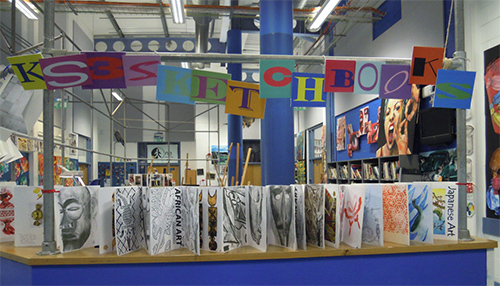 Students will be exploring artists, techniques and materials to build up a portfolio of work for their personal creative enquiry. Students will visit galleries in the Autumn term to be inspired by and understand the work of other artists. This will form the springboard for their portfolio of work. The portfolio of work must be complete by the beginning of May. 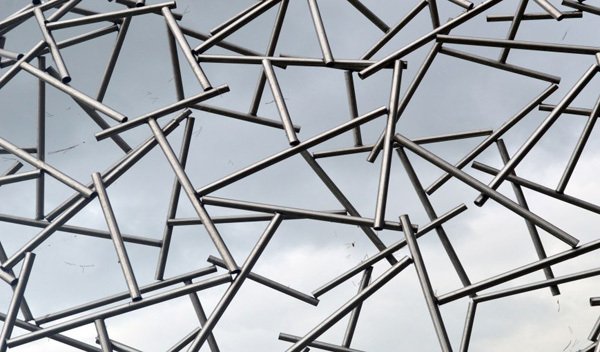 Essential – gallery visit to London is an integral part of the course. Students will visit London galleries and choose artists to inspire them to help shape and develop their own theme for this unit. They will work on this from the end of the study leave in Year 12 until February half term of the following year. They will need to show the development of their journey in a sketchbook and final piece(s) of work. Students will write a 1000 word analysis to summarise their learning. Students are given starting points on 1 February and prepare for a 15 hour examination piece. They investigate and show their development of artists, ideas and their journey on prep sheets ready to start the examination in May. 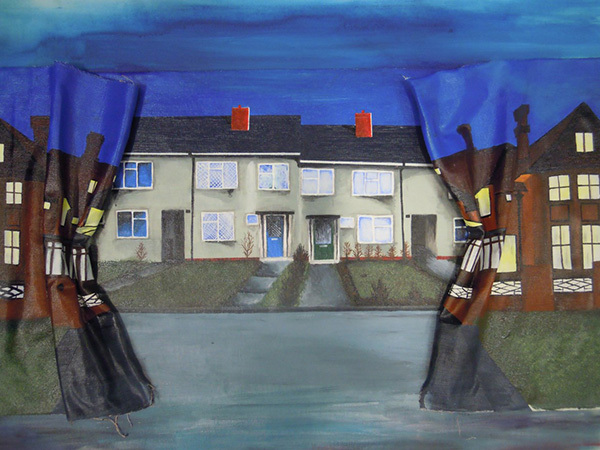 This course is suitable for students who have a higher grade in GCSE Graphic Art or Fine Art. Students should see the Course Coordinator or Assistant to check for suitability. This is an exciting and creative course with a proven record of excellent results. A gallery visit to London is an integral and important part of the course. Component – Personal Creative Enquiry Students explore artists, techniques and materials to build a portfolio of work for their personal creative enquiry. Students visit art galleries in the autumn term to be inspired by and make links with the work of other artists. This forms the start of their own Personal Creative Enquiry where they respond to work seen, explore ideas, techniques and materials and develop their own work using Photoshop. The Personal Creative Enquiry must be completed by the beginning of May. Students will visit London galleries and choose artists that inspire them to form and develop their own theme for this unit. This will commence from the end of Year 12 study leave until February half term of the following year. They will need to show a developed journey in their sketchbook and produce finished piece(s) of work. A supporting 1000 word analysis explains and summarises their learning. Students are given starting points on 1 February and prepare for a 15 hour examination piece. 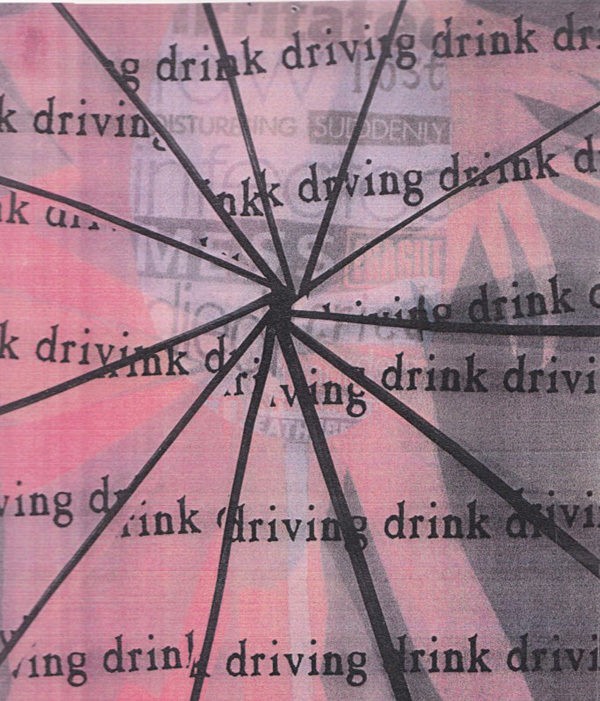 Students investigate artist’s work, explore techniques, develop their own ideas and present these on prep sheets in advance of the examination in May.